When: The 10th day of Tishrei (in 2019, from several minutes before sunset on Tuesday, October 8, until after nightfall on Wednesday, October 9), coming on the heels of Rosh Hashanah (the Jewish New Year, which is on the first and second days of Tishrei). 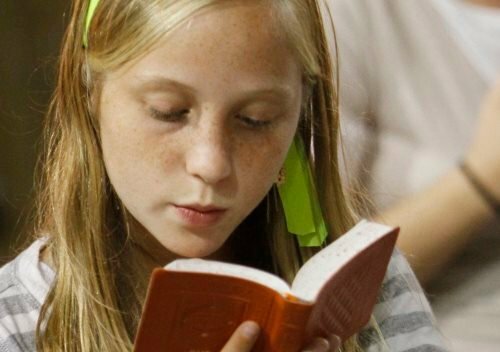 How: For nearly 26 hours we “afflict our souls”: we abstain from food and drink, do not wash or apply lotions or creams, do not wear leather footwear, and abstain from marital relations. Instead, we spend the day in synagogue, praying for forgiveness. Just months after the people of Israel left Egypt in the year 2448 from creation (1313 BCE), they sinned by worshipping a golden calf. Moses ascended Mount Sinai and prayed to G‑d to forgive them. After two 40-day stints on the mountain, full Divine favor was obtained. The day Moses came down the mountain (the 10th of Tishrei) was to be known forevermore as the Day of Atonement—Yom Kippur. 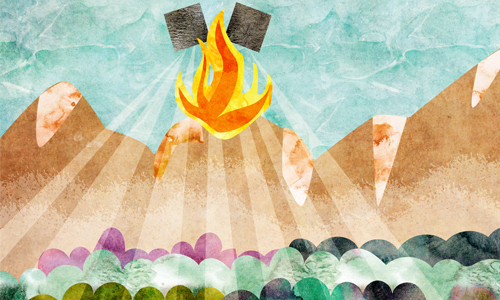 That year, the people built the Tabernacle, a portable home for G‑d. The Tabernacle was a center for prayers and sacrificial offerings. The service in the Tabernacle climaxed on Yom Kippur, when the High Priest would perform a specially prescribed service. Highlights of this service included offering incense in the Holy of Holies (where the ark was housed) and the lottery with two goats—one of which was brought as a sacrifice, the other being sent out to the wilderness (Azazel). 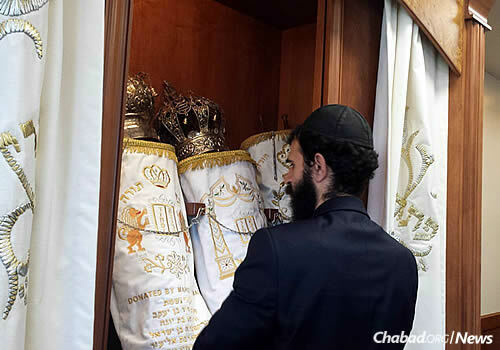 While the High Priest generally wore ornate golden clothing, on Yom Kippur, he would immerse in a mikvah and don plain white garments to perform this service. This practice continued for hundreds of years, throughout the time of the first Temple in Jerusalem, which was built by Solomon, and the second Temple, which was built by Ezra. Jews from all over would gather in the Temple to experience the sacred sight of the High Priest performing his service, obtaining forgiveness for all of Israel. Forty days before Yom Kippur, on the first of Elul, we begin blowing the shofar every morning and reciting Psalm 27 after the morning and afternoon prayers. In Sepharadic communities, it is customary to begin saying Selichot early every morning (Ashkenazim begin just a few days before Rosh Hashanah)—building an atmosphere of reverence, repentance and awe leading up to Yom Kippur. For the week before Yom Kippur (known as the 10 Days of Repentance), special additions are made to prayers, and people are particularly careful with their mitzvah observance. There is a beautiful custom to request and receive a piece of honey cake, so that if, G‑d forbid, it was decreed that we need be recipients, it be fulfilled by requesting honey cake and being blessed with a sweet year. We eat two festive meals, one in early afternoon and another right before the commencement of the fast. Many have the custom to immerse in a mikvah on this day. Holiday candles are lit before the onset of the holy day. 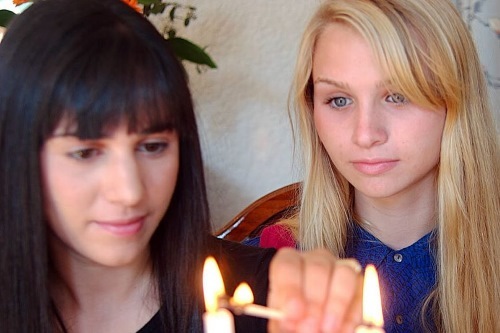 Read more about the various candles traditionally lit before Yom Kippur. Shabbat and holiday dinners are ushered in with candle lighting (Photo: Mushka Lightstone). Click here for a detailed overview of the day’s prayers. 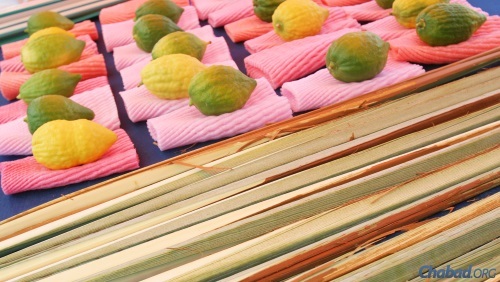 Lulavim and etrogim for sale in Israel prior to Sukkot (file photo). We then partake of a festive after-fast meal, making the evening after Yom Kippur a yom tov (festival) in its own right. Indeed, although Yom Kippur is the most solemn day of the year, it is suffused with an undercurrent of joy; it is the joy of being immersed in the spirituality of the day and expresses confidence that G‑d will accept our repentance, forgive our sins, and seal our verdict for a year of life, health and happiness. There is a custom that after Yom Kippur, we immediately begin (planning) construction of the sukkah, which we will use for the joyous holiday of Sukkot, which follows in just five days. I am a 71 year old Jewish woman, and for the first time, I am now understanding the history of Yom Kippur. I copied and pasted the text from the passages below, highlighting the places in which it clearly states that Shabbat was given to the Jews as an everlasting covenant. Unfortunately, it didn't make it on the website. Maybe I did something wrong. Anyway, I am trying again.